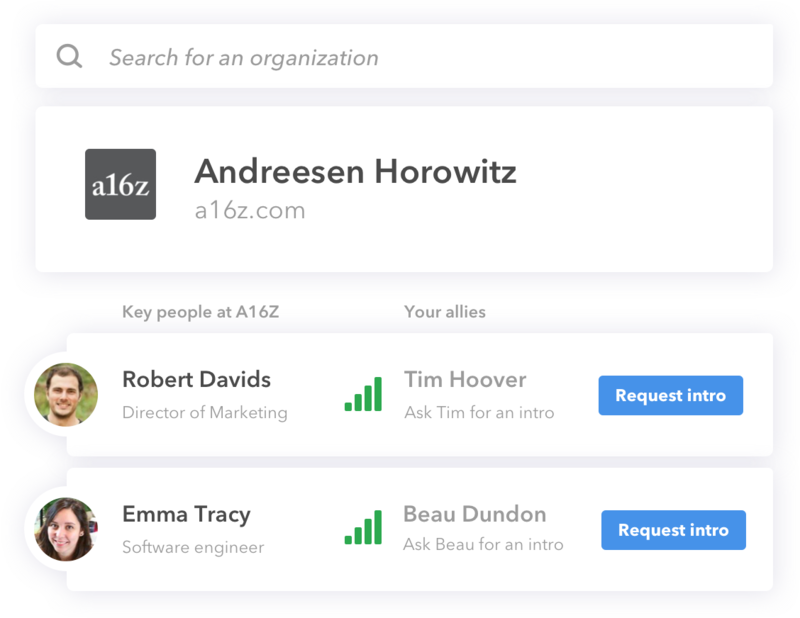 Affinity allows you to manage your entire investor pipeline and customize it according to your preferences. 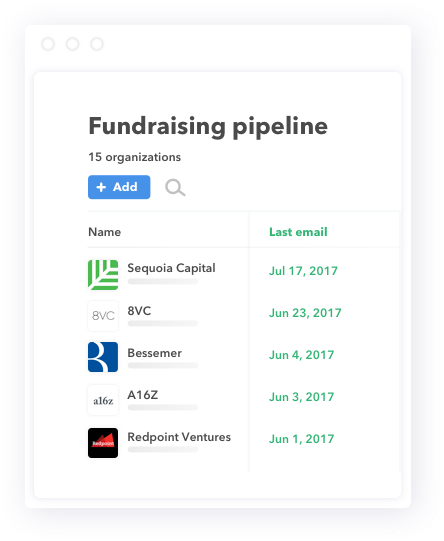 With Affinity’s Smart Columns, you will save more than 80% of the time it takes to traditionally manage a pipeline, allowing you to get back to taking investor meetings. Affinity allows you to connect with your advisors, mentors, board members, and previous investors to gain instant visibility into everyone they can introduce you to. Affinity helps companies raise rounds 8 times faster than the industry average. 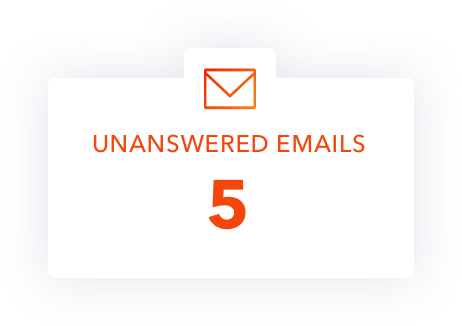 Affinity proactively identifies emails you’ve missed or haven't received a response to. Set smart rules to prompt you to reach out to important investors, especially if they aren’t ready to invest right away.